Includes phone and battery only. No cables or sim card included. *4 INCH LONG CRACKS COVER SCREEN, TAPED UP SCREEN, VERY SMALL SCRATCHES SCATTERED ALL OVER SCREEN & REAR, SCUFFED SCREEN, REAR & CASING. 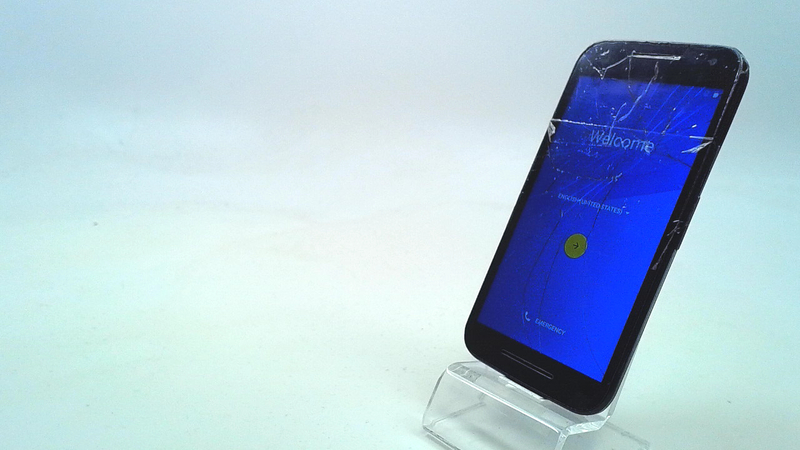 * Device has some scuffs, scratches and/or dings. Clean ESN. Unlocked. Device is cracked but is in working condition. The Moto G (2015) still packs a 5â€� display with a 720 x 1280 resolution, giving it a 294 PPI density. This is crisp enough, especially for the class of device, and we are a bit relieved the Motorola didn't try to boost the resolution, which might've ended up overburdening the GPU and battery. The SoC under the hood is a quad-core Snapdragon 410 â€“ Qualcomm's entry-level 64-bit solution, boosting the series out of the 32-bit era. 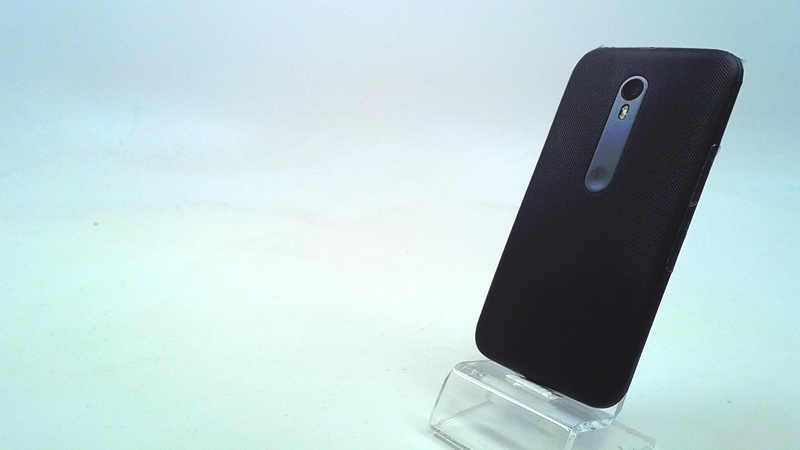 Here's the interesting part now â€“ the Moto G (2015) is the first of its line to come in two variants â€“ one will have 8 GB of internal storage and 1 GB of RAM, while the other one will have 16 GB of storage and 2 GB of RAM â€“ quite generous for a device of its class, but needed for future-proofing. Both variants' storage can be expanded via microSD card of up to 32GB.